It has been hard to work out the truth of this case in Nottinghamshire. having worked out the establishments official story, there is the problem of judging how close this is to the truth. Naturally I have no wish to adversely affect any cases that may be brought, nor do I wish to fall foul of any restrictions that I do not even know about. It appears a family court judgment made a mothers two boys, ward of the court. It was critical of her but the mother (Samantha Baldwin) ignored the judgment took the children with her, against the wishes of the authorities. She was “missing” for two or three days and then went to police who have taken now taken the children from her. In the meantime the police and family courts have issued statements. It appears that family members were threatened with charges of helping the mother take the children. Two useful posts on the case are from the Transparency Project. This post summarises what was known on the 3rd and 4th of April and has links to several corporate media articles if people wish to research them. They do not seem to add much to the facts, and corporate media almost never link to sources, so I will not reference them here. Superintendent Richard Fretwell of Nottinghamshire Police was in charge of the search for Samantha Baldwin. The article then explains some useful definitions such as abduction and custody. The next article, 2017 Apr 10 Samantha Baldwin – another side to a very sad story  has more useful information. and the judge found that when the mother realised the writing was on the wall, she made a plan and then whisked the children away to her chalet to prevent the court from acting on its judgment. The children are now temporarily in foster care – the reason given for them not returning immediately to the care of their father is that as a result of their mother’s own irrational belief, they may now have a false belief that they were in fact abused by their father. It also appears that they have not had contact with, let alone been cared for by their father for some years. That then appears to be a summary of the official position. Supporters of Samantha Baldwin, which include investigative reporter Richard Carvath think this is not an accurate picture. He also claims court papers have been served on him and he has been gagged. 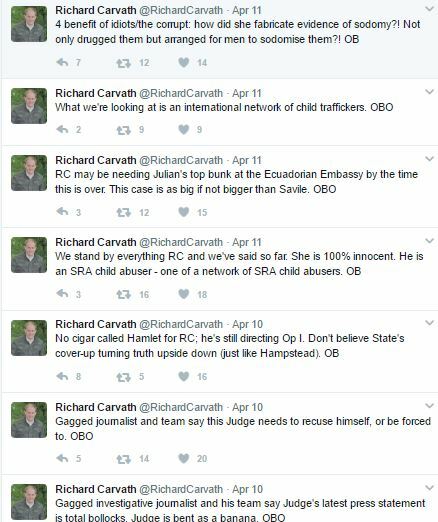 This demand for recusal of the judge would appear to suggest that Richard Carvath thinks the judge has a conflict of interest which may include knowing people who are involved in the abuse network. It is said the children have disclosed sexual abuse by multiple men and that Greater Manchester Police were told but carried out completely unprofessional interviews and even maintained that the alleged perpetrator was innocent  . The child trafficking and ritual abuse network is believed to have infiltrated Greater Manchester Police. Nottinghamshire Police and GMP both have poor historical records for investigating child sexual abuse, and have been accused of covering up child sexual abuse. the deniers may be delusional, DID, in denial, abused but in denial, blackmailed, under the influence of the deep state, security services, gladio or even genuinely misinformed. 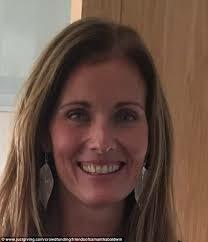 Demonstrations of support for Samantha Baldwin in Nottingham and London are set to go ahead on Monday 24th April. Family Courts have been criticised for some considerable time for their secrecy, and gagging clauses which are ostensibly for the protection of the children but which often have the effect of silencing the truth. This leaves the family courts untransparent, unaccountable and also open to be used for nefarious purposes by the establishment and professionals to cover up dodgy practices and criminal activities.